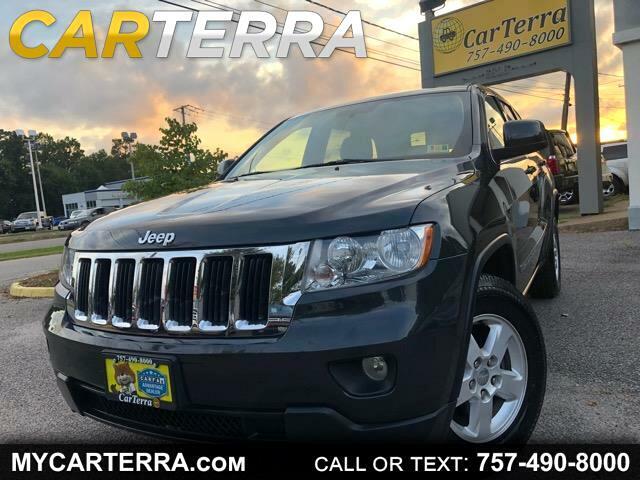 Hit the open road with this beautiful 2011 JEEP GRAND CHEROKEE LAREDO 4WD! It is loaded with plenty of features like: 4WD, heated exterior mirrors, leather steering wheel, rear spoiler, second row folding seat, tachometer, cruise control, interval wipers, tire pressure monitor, power door locks, keyless entry, power windows, alloy wheels, traction control etc. Gorgeous black exterior, no dents or scratches and the black interior is well-kept cloth, clean, smoke-free. Low Mileage, Clean Carfax, 4WD!